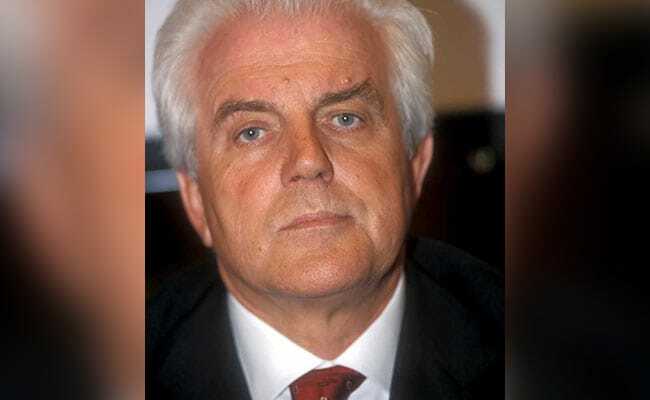 Gilberto Benetton, co-founder of the eponymous clothing brand, died Monday at the age of 77 after an illness, the Italian group announced. “Gilberto Benetton died at home today in Treviso (northeast Italy) following a brief illness,” the Benetton group said in a brief statement. “His wife Lalla, daughters Barbara and Sabrina and son-in-law Ermanno were with him in his final moments,” the statement continued. His death comes three months after that of younger brother Carlo in July aged 74. Benetton was founded by three brothers, Luciano, Carlo, and Gilberto, and their sister Giuliana, who launched a homemade production line in Ponzano Veneto, a village near Venice, in the 1960s. Their sweaters proved popular items in local stores and a brand was born. Their signature soft wool jumpers made in a variety of colours quickly seduced the masses. The company went from strength to strength especially between 1982 and 2000 — its fame fuelled by daring ad campaigns by Italian photographer Oliviero Toscani, including a 1989 poster which featured a black woman breastfeeding a white baby. But for over a decade the brand has been hit by dwindling sales. At the time of his death, Gilberto Benetton was vice-president of Edizione, the family holding company. Edizione last year booked annual revenue of 12.1 billion euros ($13.8 billion) from a business empire that stretches far beyond trendy tops to include telecoms, toll roads, catering and agriculture.